GUITOPIA | Guitarists, you've found your Utopia! GUITOPIA! "Just joined, am a beginner and am hooked. Your philosophy on "output" makes so much sense and has me looking forward to practicing every day! I put on a jamtrack from the Jukebox and just go. I'm already making music and playing on a level I didn't expect to achieve so quickly. Cheers from the UK!" "Hate to admit it, but I thought YouTube would be my "teacher". I found some good info but also some very misleading and poor teaching that started to give me bad habits. Decided to give Guitopia a try since I saw Dave on tour with Vai. I've learned more in a month from Dave than years on my own. Thank you!" "I joined Guitopia almost 2 years ago. Dave's approach is like having a personal teacher! He has a great way of explaining things that I didn't understand before. The best part, he takes the time out to talk with his Members. Highly recommended!!" "I've tried so many guitar education sites. Most are focused on just learning cover songs, but I wanted to know what I'm actually doing so I can create MY own music. Guitopia has helped from day one. I can't thank you enough for this resource! I'm a player now, not just someone who recites someone else's creativity!" "I joined guitopia a couple of days ago. Jumped right in to my first exercise, season 11, 32 I think, string skipping, hybrid picking, legato, awesome! Pretty challenging. Exactly what I need to push my guitar playing forward!" 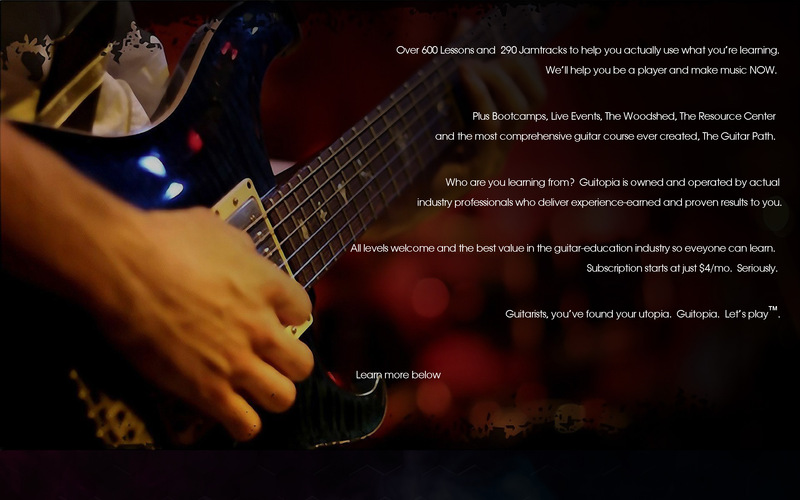 Guitopia is a guitar education website developed by actual working, experienced, music-industry professionals to help you learn as effectively and efficiently as possible. Our philosophy is simple: learn, implement, make music. 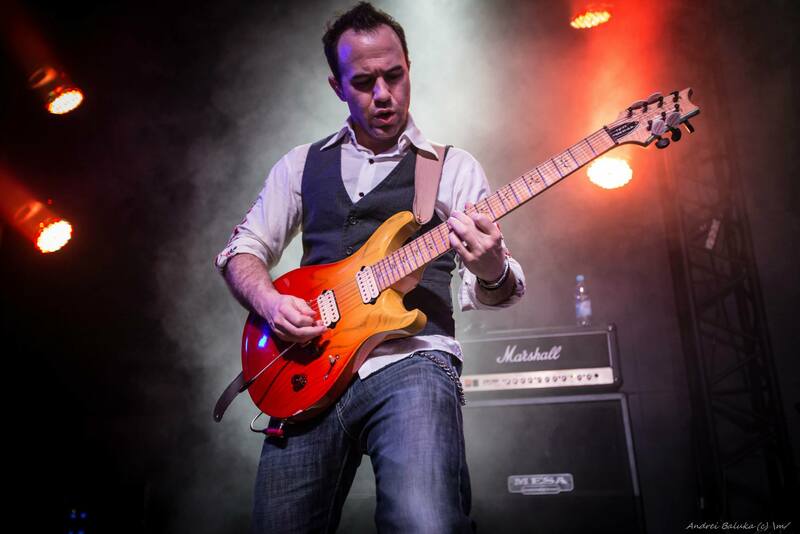 Basically, we’re going to show you what and how to practice to become a proficient guitarist. But more importantly, we’re going to show you how to turn those tools into usable, creative, musical ideas to use in your improvisation or writing. Watch this video to learn more! Guitopia has more features to help you become a better player, today! A new guitar lesson every single week! With the Lesson of the Week, you’ll see a new guitar lesson video every single Wednesday! This series is the unique, missing link in the guitar-education process and shows you a weekly example of how to actually use what you’re learning! Started back in 2005, this massive library offers over 600 inspiring guitar lessons available to motivate you 24/7! Over 290 professionally produced Jamtracks; recorded, mixed and mastered by Dave himself, to help you implement what you’re learning in real-world, musical situations, 24/7! Keep your practicing up with The Bootcamp! For Pro Members, an extra, 6-video series released each month. This series contains exercises from Dave’s very own, results-proven practice regiment to help you discover what and how to practice to continue progressing your playing! Our vast reference library of scale, chord and arpeggio charts. As often as possible, we get the top industry pros to share exclusive tricks, tips, insight and advice. 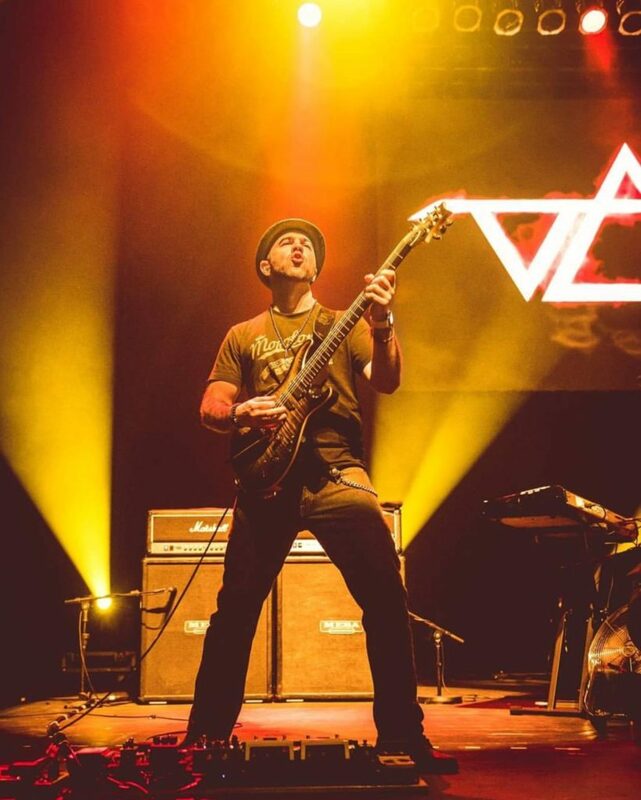 Learn from Steve Vai, Tom Quayle, Doug Rappoport, Andy Wood, Brian Baggett and more! This amazing new feature is extremely helpful for learning each week’s lick/concept. Watch the notes come alive on a virtual fretboard as you see the tab scroll automatically as the video plays! Join Dave for a weekly** live, video chat in our Live Stream room! Ask questions real-time and discuss everything from theory to techniques to gear and beyond! 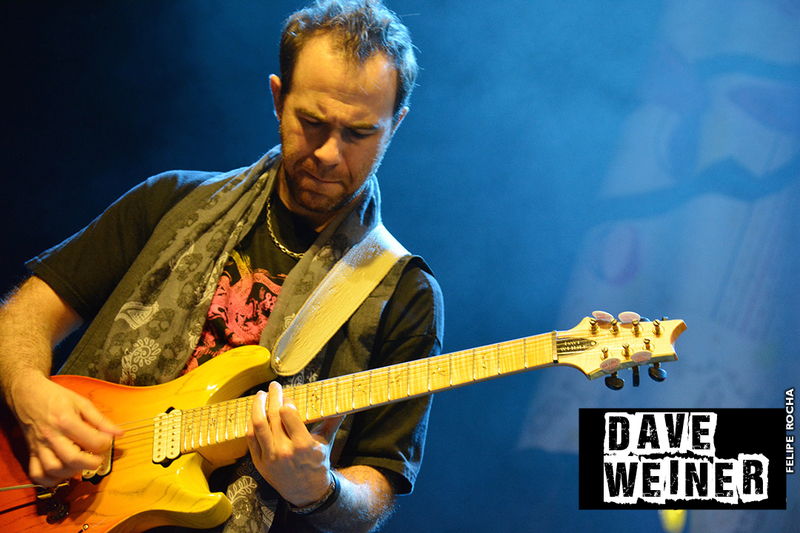 Dave’s often joined by special guests such as Brian Wampler from Wampler Pedals, Blues-rock master Doug Rappoport and Jazz/Metal shred king, Emil Werstler to name a few! The newsletter gives you info about each week’s episode, site updates and news, directly to your inbox! Exclusively at Guitopia.com! Got a question about your account? an episode? even theory? Our live chat support will help! No other site has that! *Production for The Guitar Path is currently in the Beginner level. Intermediate and Advanced level development will follow. "Guitopia supplies you all the tools, theory, chords, scales, & jam-tracks of all styles that sharpen your knowledge and skill sets. Add a touring musician who’s played with legendary musicians we’ve all admired whom he shares his experiences from the road. (“Experiences from the Road”) It’s personable as well. Packages affordable. No site comes close to all you get from Guitopia." "Been a Guitopia member from the beginning. Followed Riff of the Week for years. By far the best guitar education site I have ever experienced. Easy to understand the lessons and apply to my daily playing. I have improved so much thanks to this learning method." 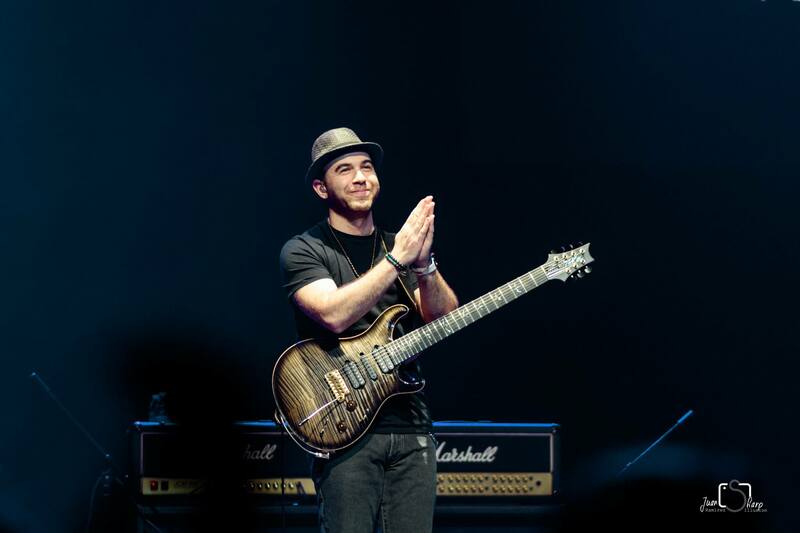 "Guitopia is the best, Dave is the man, I’ve learned soooooo much. Best teacher ever!" "Guitopia's pedagogy is excellent, starting at a basic level and progressing to advanced. I'm enjoying it and I have a profession that takes me a long time (I'm shoulder surgeon), the ease of attending classes when I have free time is great. ??" "I've been with Dave since the Riff Of The Week days and the launch of Guitopia just took what was already an amazing guitar resource to another level. Dave's approach on Guitopia offers something for everyone regardless of experience or level in a super easy to follow way. The site navigation is super easy and the price for the quality of what you get is worth every penny!!" 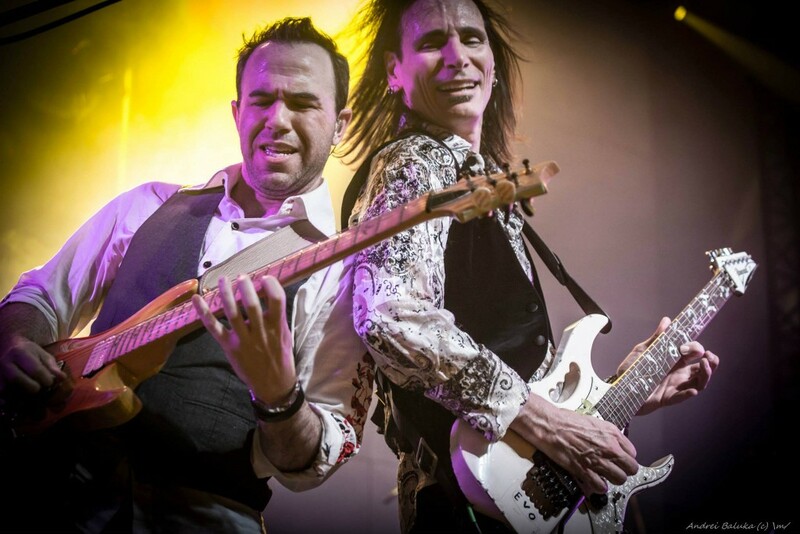 19 years, world touring experience as both solo artist and as Steve Vai’s guitarist of choice, sharing the stage with other guitar legends such as Eric Johnson, Steve Lukather, John Petrucci, Joe Satriani, Paul Gilbert, Al DiMeola, Yngwie Malmsteen, and more! We want to make learning guitar accessible to everyone. That’s why our Membership starts at just $4/month! Yes, that is not a typo! That’s less than a dollar a week for a professionally produced guitar lesson, jamtrack, and more, every week! Even the top-tier “Pro” level is less than $20/month, and if you purchase yearly, it’s barely over $18/mo…. for everything on the site! It’s quite an incredible value and far cheaper than your local guitar store teacher. A Membership to Guitopia means you’re going to be learning guitar, jamming, having fun.. all from the comfort of your own home! And comfort is key to being a productive guitar player. Grab a fresh cup of coffee, fire up the lava lamps, light a few candles, turn up your favorite amp and enjoy! With an ever-growing, updated-weekly set of assets, Guitopia is and will continue to become THE all-in-one resource for guitar education. We currently have over 600 weekly lessons in the Archive, 290 Jamtracks, 180 Resource Center charts and 175 Bootcamp episodes! We want our Members to be 100% satisfied with their experience on Guitopia. If not, for any reason, we’ll issue a full refund within 30 days of registration*! You must answer this email to receive the full refund. -for Monthly memberships: payments will no longer recur, but you’ll retain access to the site’s features (as per your Membership level) for the remainder of the 30-day term. After the 30-day term is complete, access to the site’s features will terminate. You can re-register at anytime. -for Annual Memberships: you will receive of prorated refund for the balance of the year (term) based on registration date. Access to the site’s features, as per your Membership level, will terminate immediately upon cancelation. You can re-register at anytime. Members can migrate from one level to another at anytime. "Guitopia is the only guitar instruction site that I've found that's worth paying for. The Guitar Path has helped me learn a great deal. Woodshed practice with Dave in videos has motivated me along. Custom jamtracks are like nothing else I know of. Dave's style as a teacher encourages me to pick up the guitar. His volume of knowledge, technique, and style are both inspirational and educational. 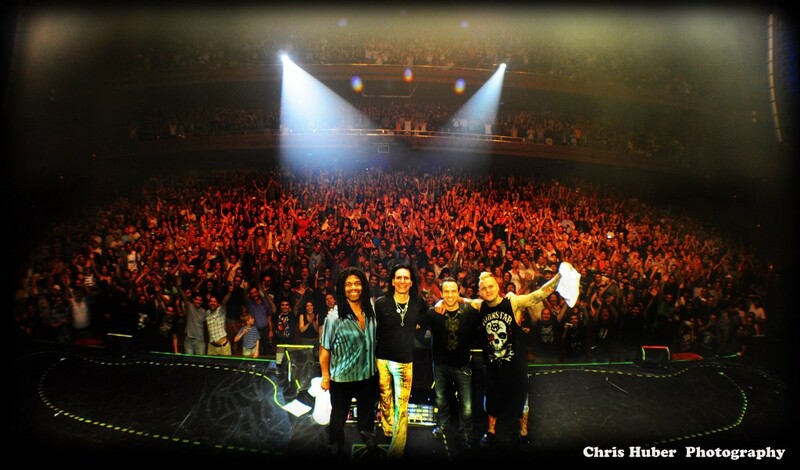 Can't recommend Guitopia enough." "Getting Guitopia gets you greater on Guitar. Guitopia has the Greatest Gathering of Groovy Jams in every Genre, (and for any guitar Generation) in Guitopia’s jam track jukebox. Additionally, a gargantuan video library of high quality guitar greatness. Guitopia gathers our glorious guitar community for gigantic weekly live chats of gear, gain, guitars and genius guidance and generosity! ?" 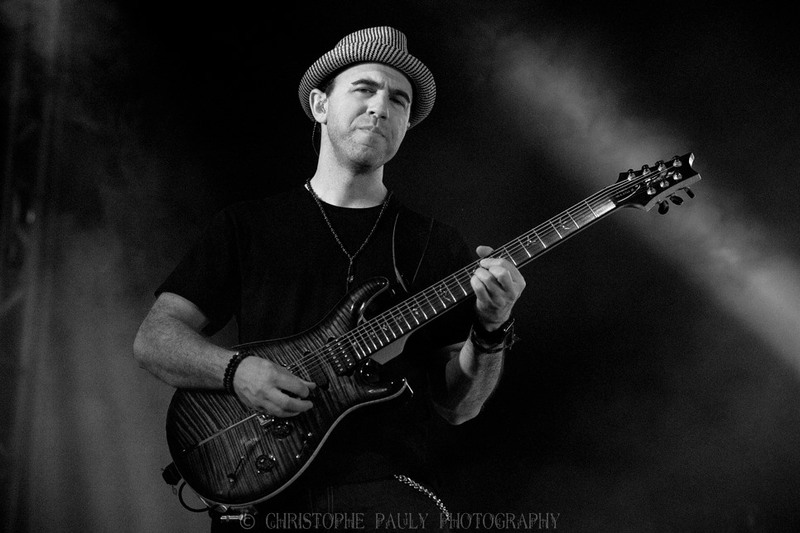 "I can wholeheartedly recommend Dave Weiner's Guitopia site. Dave is both an exceptional player and teacher, which I find is a rare combination. Dave has an uncanny ability to deliver a recorded lesson that makes you feel like it's live and you're in the same room (only you have the benefit of pausing and rewinding). You can dip a toe in for $4 a month, or upgrade to the Pro level for $20, and shift up or down, or quit, at any time. If you're looking to maximize your commitment and stay motivated to learn and improve, you'd be hard pressed to find a better option for your money and time." "Dave has a way of relating a lesson that doesn't just teach you a mode, scale, or pattern, but it actually changes the way you perceive your playing, and changes what you do for the better. Old solos become new again, and boring pattern based riffs turn into inspired phrases that stick in your head. He answers questions and comments personally, and is engaged with his student base. I value Dave a great deal, even when my schedule doesnt permit me to delve deeply into the lesson, I pay close attention for the reasons I listed above. He's a master teacher, and one heck of a good person. I can't give a better testimonial than that." "To put it simply, I've been playing for over 30 years but was always rubbish at motivating myself to properly learn the techniques and theory required to make my playing sound interesting... the gradual learning process journey I've undertaken under Dave's guidance has made me an infinitely better and more musical guitarist!" Only $0.99 / Week! Most Popular! A new episode every week! *After choosing a level, you’ll be taken to a page to select a monthly or yearly plan. Ready to join Guitopia? Simply click “Choose” under the Membership level you’d like. Still have questions? Contact us by clicking the bubble in the bottom right corner. 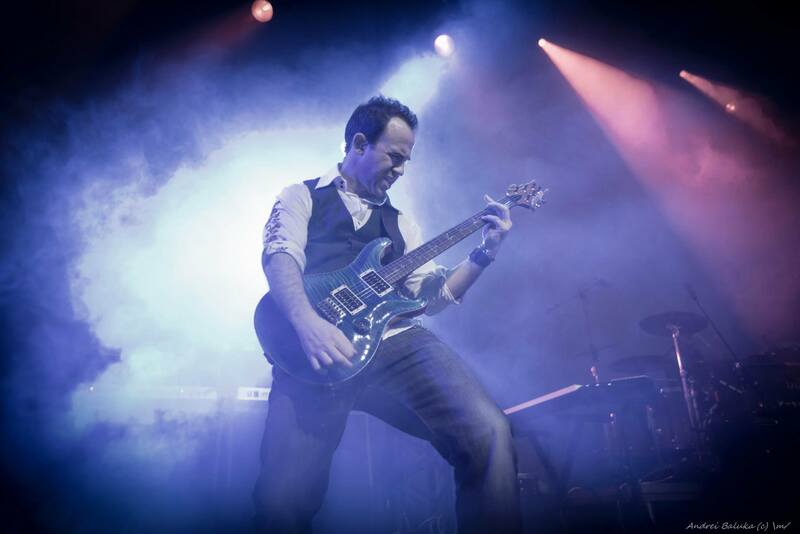 Chat live with Guitopia staff or leave a message!